This is a quickie for you to give you a heads up about a book I think many DP fans might dig. 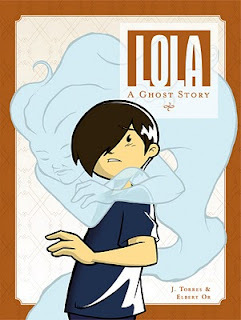 It's called Lola - a Ghost Story. 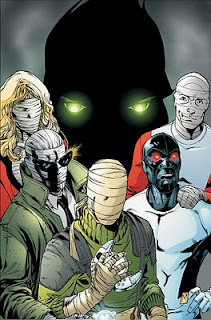 It's written by J. Torres - our friend from the Batman: the Brave and the Bold issue featuring the Doom Patrol - with art by Elbert Or. You can learn a little more about it on J. 's own blog. You can read my review of it. Or you can order your own copy. 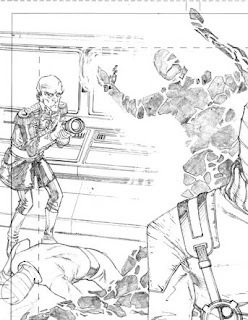 If Jesse lived in the same world as the DP, I'm pretty sure Niles Caulder would take a vested interest in the young man. . . Happy New Year! I trust everyone made it through safe and (mostly) sound. Just a quick reminder to fill this spot for this week. No better way to start the first new comic day of the New Year than with an issue of Doom Patrol, right? 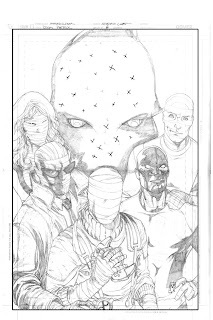 Here's the pencils for the cover, the solicited cover, and a little something extra.